An expert in luxury hospitality, catering and high-end tourism, Philippe M. Rubod has worked on three continents with large international groups, private and public bodies. He has devoted the past 25 years to opening, managing and developing prestigious hotels and resorts. 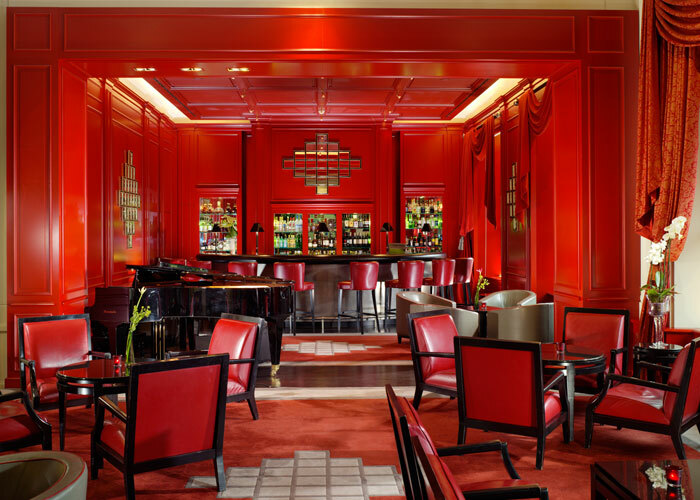 After managing some of Geneva’s most emblematic hotel establishments, he currently runs Hotel Métropole and Restaurant-Hotel of the Parc des Eaux-Vives. Construction of the Hotel Metropole on the site of ancient fortifications. 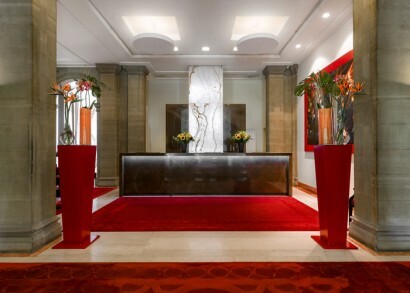 The Municipal Council agrees to buy the Hotel Métropole which is subsequently put at the disposal of the International Committee of the Red Cross without charge as a humanitarian act, for record keeping and also for storage of parcels of food and other goods to be dispatched to war victims. Full renovation of the hotel. Only the original outside walls are preserved, the interior of the building is entirely redesigned. Inauguration of the hotel. Since then, has been managed by several national and international companies. Hotel Metropole becomes yet again an independent hotel, as was the wish of the City of Geneva. 2015 was the year of the most recent refurbishment in terms of bedrooms. Further more, more than half of the bedrooms have benefited from an installation of the newest flatscreen TVs in 2017. 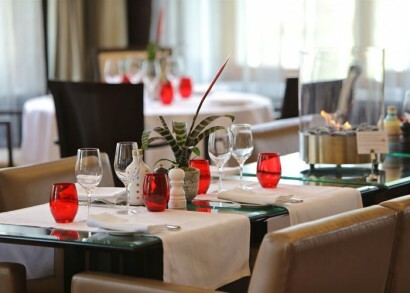 Authentic Geneva/Swiss hospitality and feeling, unique and enviable location, focus on unpretentious luxury. The true city center of Geneva. 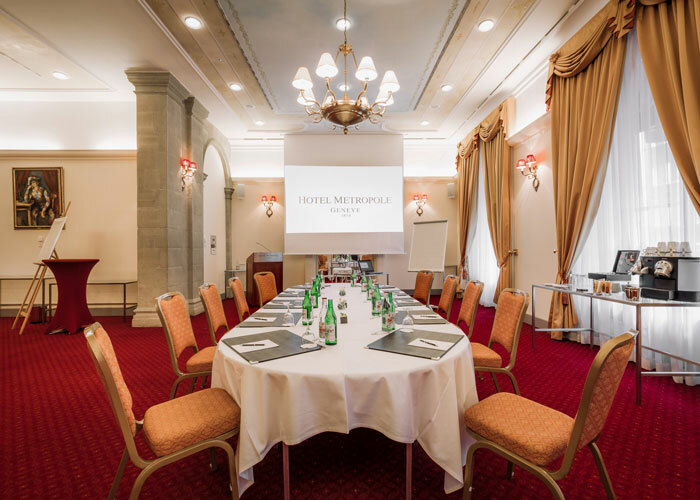 Hotel Metropole is the only hotel in its category (top luxury category) on the left bank of the lake. 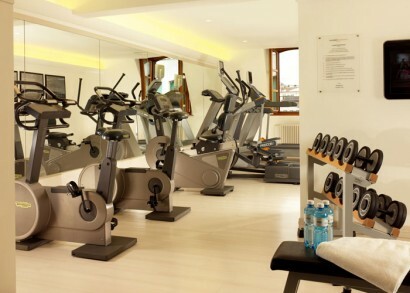 This offers a true advantage in terms of location as almost all main Geneva sites (both cultural, historical and business wise and in terms of shopping) are on this side of the lake, and in fact, in our street or within a 5 minute walk – 300-500 yards. 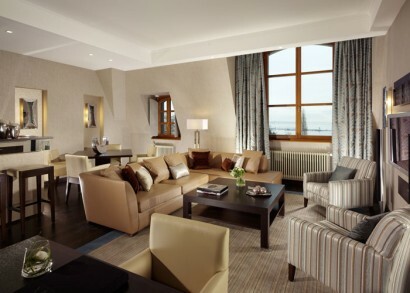 The hotel sits both on the Lake of Geneva and Jardin Anglais (small park) and rue du Rhone, Geneva’s if not Switzerland’s most famous shopping street. 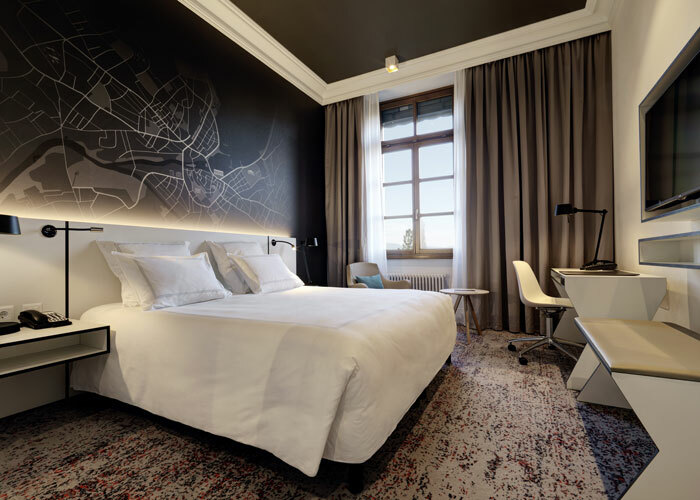 Furthermore, the hotel is located within a 5 minute walking radius from the Old Town, the Flower Clock, the Reformation Wall Monument, the Jet d’Eauetc, and bustling neighborhoods that offer the latest and upscale in Geneva nightlife. 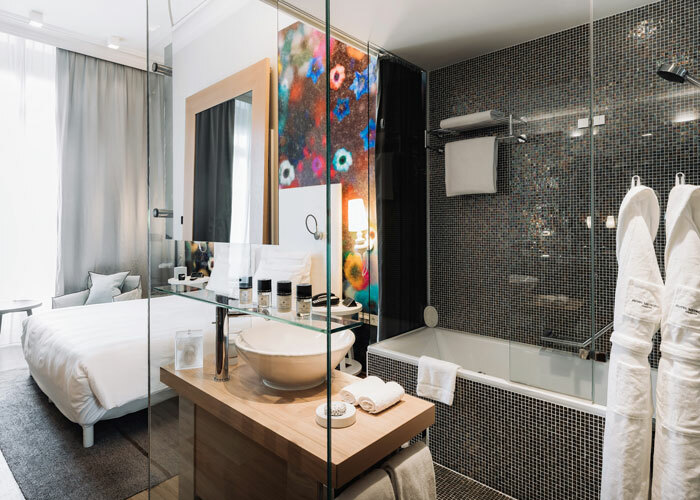 Old Town with its art galleries and antique shops, Reformation Wall Monument, St Peter’s Cathedral, the Flower Clock, the Jet d’Eau water fountain, Geneva beach, Rue du Rhône and Rue du Marché for high level shopping and high-end watch boutiques. Patek Philippe Museum, CICR (Red Cross) Museum, United Nations. Further afield (1-2 hours drive or train) in France: Chamonix and Mont-Blanc, Annecy, Yvoire and Evian. None at Hotel Métropole. 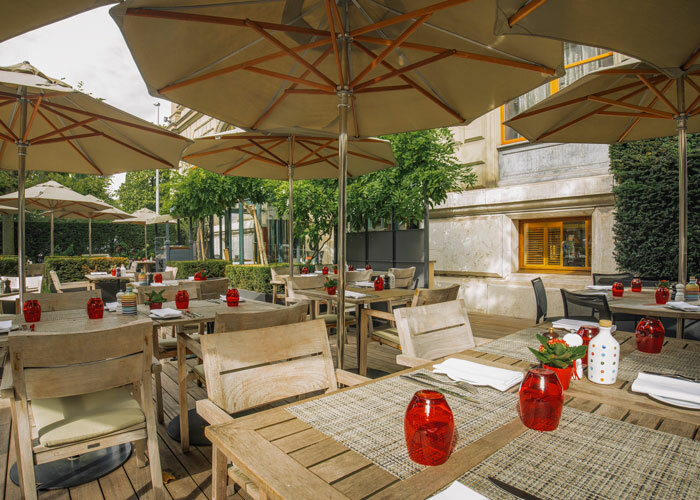 Sister hotel Hotel du Parc des Eaux-Vives (located in an amazing park 5 minutes away) offers a very popular family brunch each Sunday morning. During this brunch children’s animation and entertainment is offered. Features: a warm bedroom with wooden floors, a comfortable living room with modern furniture and a superb spa-bathroom, some with both steam shower and bathtub. Amenities: Nespresso coffee machine, a room control panel and a flat screen TV with an entertainment system to connect your devices. Features: a main bedroom equipped with a King bed, a separate living room outfitted with state of the art equipment and a marble bathroom. 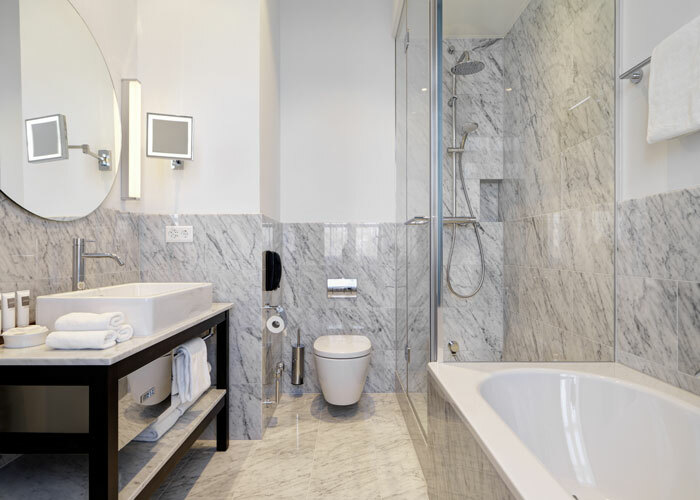 Amenities: Nespresso coffee machine, an iPod docking station and a complimentary selection of minibar beverages. Features: Spacious entrance, a living and dining room, as well as a large bathroom offering natural daylight. Amenities: Nespresso coffee machine, complimentary minibar and an amazing Bang &Olufsen sound system. Features: A living room with a cosy sofa and armchairs, a flat screen TV, Bang &Olufsen sound system and Wii console, a private bar, a dining room, an enchanting bedroom with a king bed, a separate dressing room and guest toilet, a large shower and relaxing bathtub in the marble bathroom. Features: either queen sized beds or two single beds, and a marble bathroom with bathtub. Features: newly designed, offering a wonderful blend of serenity and comfort. A king bed or two single beds along with a contemporary bathroom with bathtub or shower. Features: state of the art technology, relaxing ambiance with wonderful colorful illustrations above the head board, natural wooden floors and a splendid mosaic bathroom with a spa like feel that, depending on the room, comes equipped either with a steam shower or a Jacuzzi bathtub. Amenities: Nespresso coffee machine and a large upright mirror which incorporates the television and entertainment system to connect your devices. All rooms come with a Nespresso machine and capsules, a Pillow menu, bottled mineral water and turn down amenities. High speed Wi-Fi is also available, free of charge. 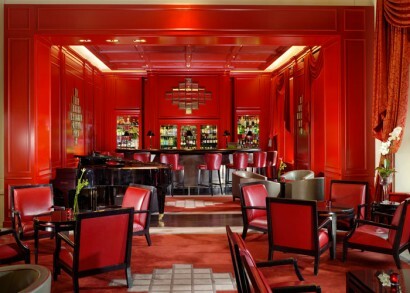 A favorite rendez-vous for the “Tout Geneve”, the vibrant Mirror Bar keeps busy all day and evening long. Treat yourself to memorable summer sunsets, fizzy cocktails, creative snacks and fashionable tunes while overlooking the lake and the Jet d’Eau. 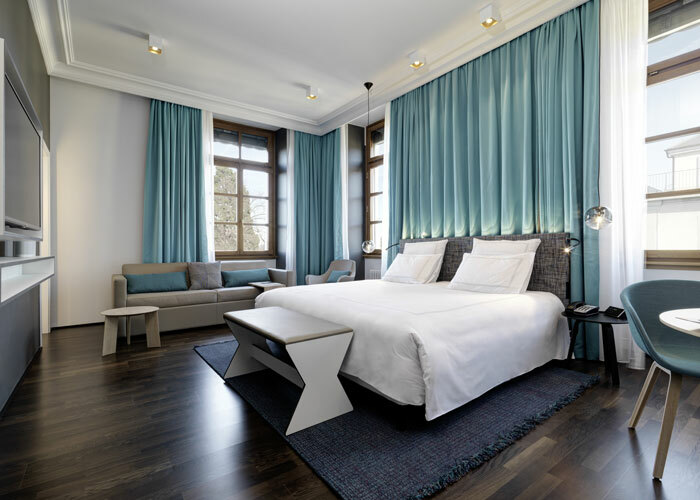 www.bain-bleu.ch, for off-site wellness experiences – 5 minute taxi ride away. 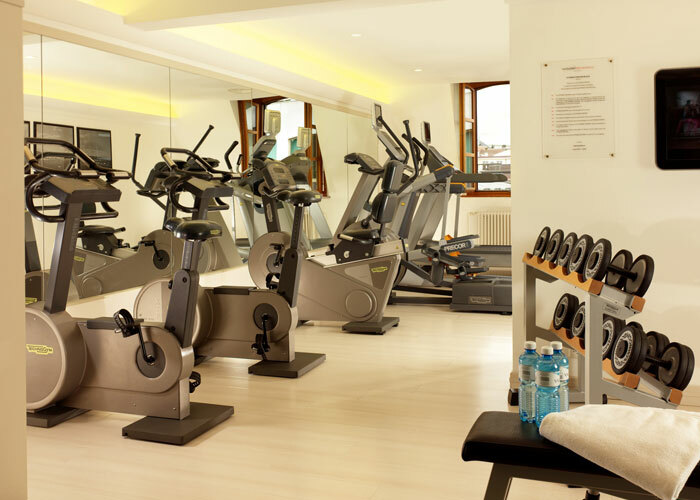 • 6 meeting rooms in total, all with natural daylight and state of the art technological features. 4 modular meeting rooms on the ground floor, 2 on the top floor (5th floor), connecting to the roof top terraces. • Anything from weddings, birthday parties to corporate events, meetings, dinners, presentations and product launches, and everything else in between. Dimensions (Square meter/feet), ceiling heights and main capacities in rounds/theatre/cocktail. • The Sunday Brunch is very popular ! • Signing privileges at Parc des Eaux-Vives hotel should guests wish to dine there and charge to their room at Hotel Métropole. • The roof top terraces during the summer are hugely popular with locals and visitors alike. The inauguration in May is eagerly awaited each year. They offer the only unobstructed views of the lake, from the roof top bar at the hotel.